Hi, everyone! Here’s another card origin story for you! 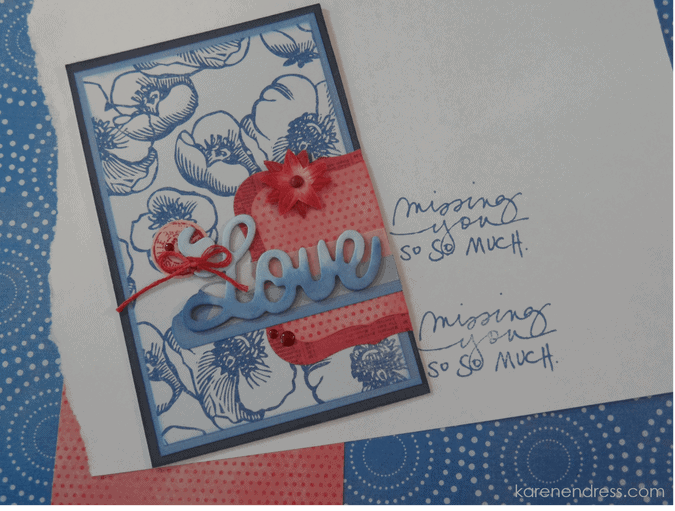 Often my card ideas come from seeing a sentiment, some patterned paper, an embellishment (like the previous “Believe” card), or even just a particularly pleasing color combination. And very often, a new card will emerge from the scraps of a previous card with new elements added to round it out. 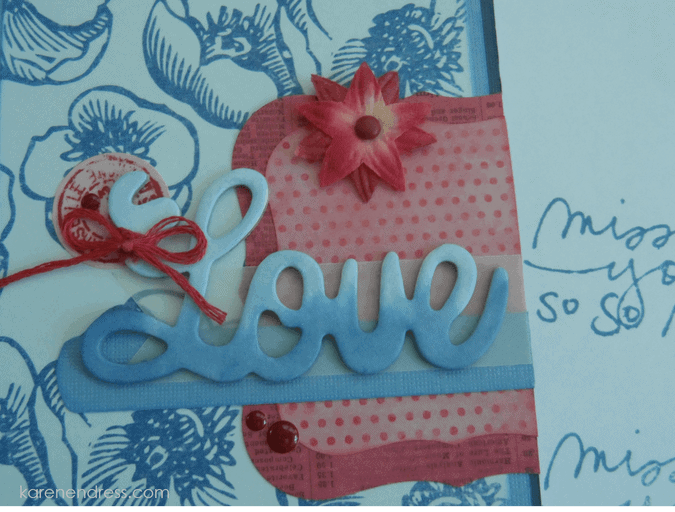 I grabbed some textured light blue & vellum scraps (from the bits & pieces dishes that are overflowing onto my desk) to layer under the ‘Love’ word for contrast. Then I went to the color section of my ScrapRack for some red embellishments. Most everything in the ScrapRack is unlabeled and as old as the hills but still quite usable! 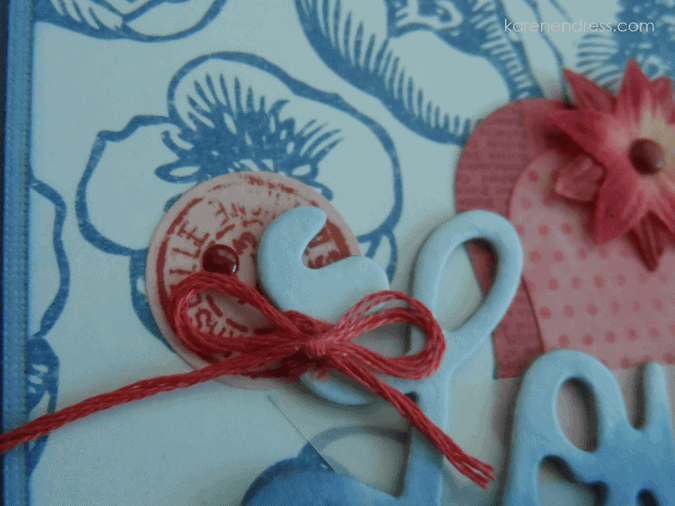 I found the flower & the postage cancellation mark there–YAY! Using my stash!! Finishing touches included some DMC floss that I wrapped around the ‘L’ and tied into a bow as well as a few coordinating enamel dots (MME Lost & Found Christmas) from my stash. Inside I stamped the Technique Tuesday Ali Edwards sentiment you can see test-stamped in the first picture. Looking back, I’m not totally pleased with the placement of that postage circle, but it is a handmade card and I’m pretty sure my 97 year old mom is not going to be critiquing her card! Have a great weekend! !